For the fifth year in a row, staff of Morrison Hershfield’s Atlanta office, along with several thousand other participants, took part in the city’s “Moon Ride”. It is a 6-mile night time bike ride through some of the city’s most vibrant neighborhoods. All proceeds from the 2018 Moon Ride benefit Bert’s Big Adventure, a local nonprofit organization that provides an all-expenses-paid trip to Walt Disney World® for children with chronic and terminal illnesses and their families. The organization also provides year-round support to such families through additional charitable services. 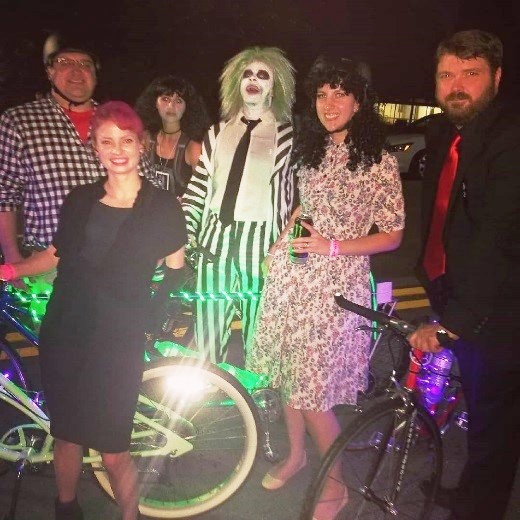 The event included a live band and costume contest at Piedmont Park, so naturally many of the Morrison Hershfield riders were happy to comply! The evening of the ride began with a team BBQ and some bicycle decorating for the MH participants, before joining the event festivities. 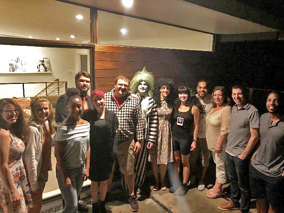 Our group theme this year was “The Netherworld.” Costumes included Beetlejuice, Lydia Deetz, Mr. & Mrs. Maitland, Otho & Delia Deetz! It will be tough, but they are already excited to up their game even more next year! 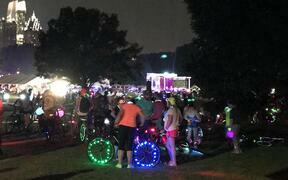 At 11 p.m. the participants hit the streets for the ride, escorted by the Atlanta Police Department and accompanied by live, rolling music squads. To make sure this group never missed a beat, they affixed a Bluetooth speaker to the back of one of their bikes! 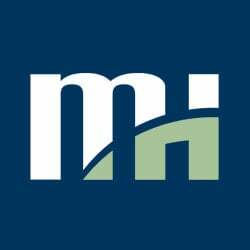 Through bicycle traffic jams, strobe lights, and the occasional fog machine, the MH group stuck together and crossed the finish line around 1:45 a.m., feeling energized and satisfied to have contributed to such a great cause. Until next year fellow Moon Riders!